EspañolUnder the slogans “No prison for growers” and “Neither a drug addict, nor a criminal,” the first Global Marijuana March (GMM) held in Guayaquil, Ecuador, kicked off on Saturday, May 2. At 4:20 p.m., organizers say roughly 500 people gathered at the Parque de la Kennedy to protest the prohibition of cannabis, resembling other demonstrations simultaneously taking place in more than 70 countries around the world. The event was organized by Guayaquil Canábico, a nonprofit organization created three years ago with the aim of educating citizens on the beneficial uses of the plant. Amid banners and drum beats, a wave of people mostly dressed in green marched toward the offices of the National Council of Narcotics Control (CONSEP), filling the streets with an atmosphere of festivity and celebration, as well the characteristic odor of marijuana smoke. Among the proposals listed in the document, the group calls for all public officials to receive training on drugs and their effects, a national campaign to make marijuana users aware of their rights, and further research into the various uses of cannabis and its potential health benefits. “Talking about drugs goes beyond just prohibition or moral codes. Talking about drugs in Ecuador has to do with rights, and all citizens should enjoy these rights,” the document concludes. The demonstrators at the event were as diverse as the reasons for which they attended the march. Alma Pincay, a 51-year-old advocate of medical marijuana, told the PanAm Post that, in Ecuador, the belief that marijuana is “only for the young and drug-addicted” still remains. “The cartilage in my vertebrae is worn out, and I had so much pain I couldn’t stand up from my bed. Someone recommended cannabis oil to me, and it was like magic. I feel good now; it changed my life, and I promote it,” she said. Nutritionist Paul Flores meanwhile says he attended the march to demonstrate his support for the private cultivation of cannabis for research purposes. “On a therapeutic level, it is proven that cannabis causes cancer cells to commit suicide, so we want to emulate the research that is being conducted in other countries,” he said. “For research, the marijuana that is sold on the black market doesn’t work; it’s contaminated. That’s why we need a regulated self-cultivation for medicinal purposes, as is happening in Chile,” Flores added. 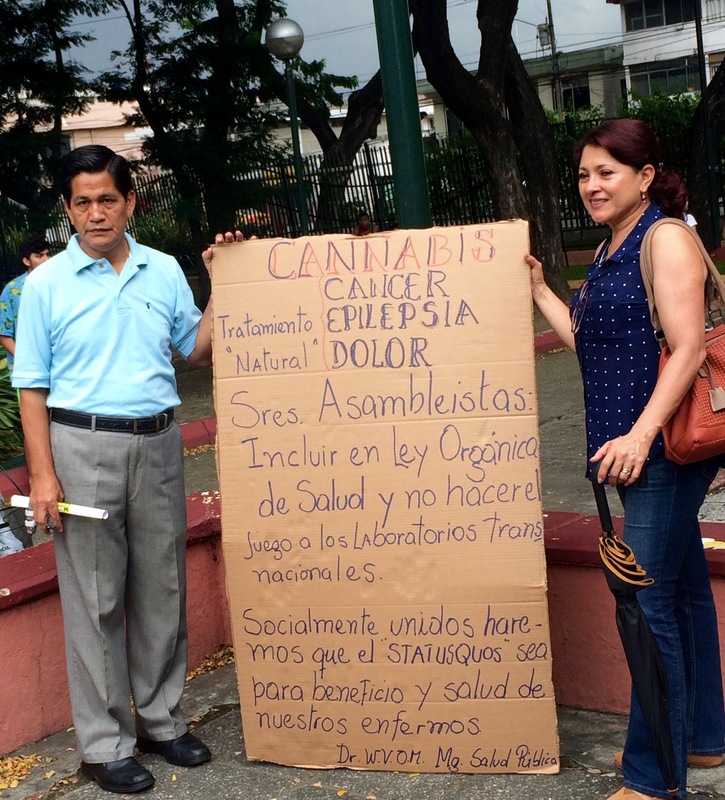 Marijuana-legalization advocates held similar events in Quito, and in Cuenca on April 26. The GMM has been held in the Ecuadorian capital since 2009, and even though over 600 activists gathered in Quito over the weekend, authorities suspended plans for an exhibition and concert due to a lack of permits.